This blog was written by Lori Strobl, PT, DPT, PRC. 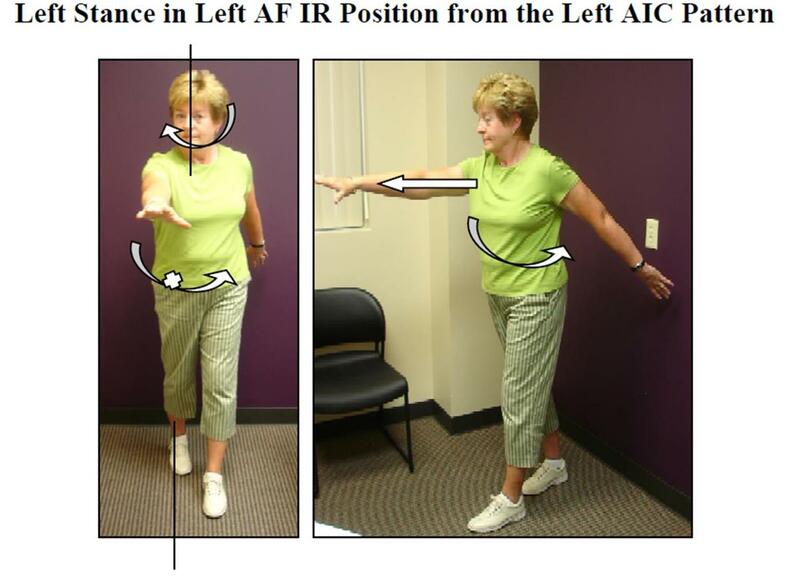 When you are in our clinic at Watkins, you might see several patients doing some ‘strange’ exercises. These exercises are techniques from Postural Restoration™. With Postural Restoration™, we recognize fundamental asymmetries in the body, and attempt to get our clients into a state of “neutrality”. Neutrality is a state of position in which our body is able to function reciprocally, or from our right side to our left side. A PRI™ trained PT will use tests and measures to determine how an individual’s body functions and how to get them into a state of neutrality. The state of neutrality helps us normalize muscle tone, muscle balance, and joint position and will often times reduce or eliminate an individual’s joint pain or dysfunction. 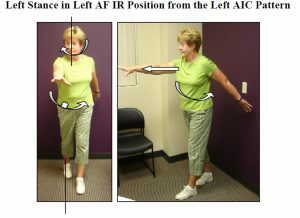 The technique: Left Stance in Left AF IR Position from the Left AIC Pattern allows the patient to feel weight bearing on their left leg to facilitate a pattern that allows our bodies to reciprocally rotate side to side when we walk, jog, or move throughout life. This is an important aspect of movement that helps to keep us pain and injury free! This technique is being highlighted as a favorite of mine for runners, hikers, and cyclists as it breaks down a portion of the gait cycle and makes it easier for the patient to feel and understand how to achieve proper weight bearing on their left leg and what this weight bearing should feel like. This weight bearing is an essential component of healthy walking, running and cycling. Really, this is a movement that is essential for life in a pain-free way! Postural Restoration™ is offered at our Watkins Center Clinic. To schedule with Lori, call 804-325-8822.